Have you heard the one about there being no capital gains tax in New Zealand? Think again. Mum and dad property investors are often shocked when they find they may be paying tax on their capital gains. Buy, do-up, and flick too many houses, or just buy and resell in a short period of time and you’ll find otherwise. Hidden in our tax laws are a number of ways of ensuring people who make a profit from buying and selling property and other investments do pay tax – even if it’s not called “capital gains tax”. How it works is that if the Inland Revenue Department (IRD) believes you are “trading” property or other investments for a living it sees the capital gain as “income” from your property trading “business” and taxes it. Conversely, it views that long term investors make most of their profit from rent, and therefore only taxes profits from that. Your intention when you buy. If a property has been bought with the firm intention of resale, the capital gain is taxable. How long you have owned the property. The profits on investment properties owned for less than two years are taxed automatically. Your history of buying and selling. If you have a pattern of buying and selling property and other investments you may be classed as a trader and taxed. Whether you work in the property industry or are associated with someone who does. Dealers (traders), developers, builders and people associated with them who sell their investment properties within ten years will be taxed on their capital gains. Quick flicks can get caught in two ways. One is the “bright-line” test brought in by the IRD in October 2015 to catch property speculators. It requires anyone who buys and sells a property within two years to pay income tax on the capital gain. There are some exceptions in the case of the main family home, relationship breakdown or death. The main home exception only applies if it hasn’t been used two or more times before. 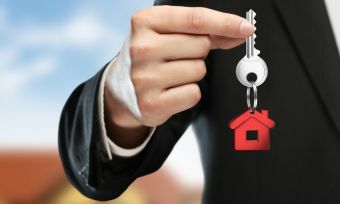 Anyone with a home in a trust needs to get advice because there are rules surrounding what constitutes a “main home” for a beneficiary of a trust and whether or not the settlor owns a main home. If you’re buying and selling the family home with the intention of making a profit you might have to pay income tax on the gain no matter how long you’ve owned it. Wanaka couple Mr and Mrs Johnston got the fright of their lives when the IRD came calling. The couple had no idea they needed to pay tax on their property transactions but were caught in a crackdown the IRD had on property trading/speculating in the Wanaka and Queenstown area. Property trading is considered a business by the IRD even if it’s your own home you’re trading. The Johnstons bought and sold five houses in a seven year period. The houses in question were the couple’s own home, not what most people would consider to be investment properties. The IRD argued and won nevertheless that the couple’s intention when buying those properties had been resale for profit and charged them $300,000 in tax. Builders, developers and property dealers are required to pay tax on capital gains from properties held for less than 10 years. It’s not only the builder or developer who is affected. They can “taint” people they’re associated with such as family, business partners, and even beneficiaries of trusts. “Tainting” means that you might be considered to be a property developer in the eyes of the IRD just because you’re associated with one. If you’re “tainted by association” you’ll have to pay tax on property you sell at a profit within ten years. This is complicated stuff and for this reason it’s a really good idea that property investors sign up with a specialist accountant before buying property. As with property investing, if you are buying shares to trade as opposed to keep to earn dividends you will pay income tax on your capital gains. 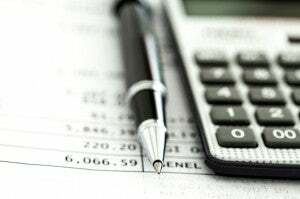 What’s more, if you own shares in foreign companies such as those listed on the Nasdaq or London Stock Exchange, The Foreign Investment Fund (FIF) rules mean you need to pay a type of capital gains tax on your investments. This is an annual tax on the rise in value of your holdings, not a tax on the sale. The FIF tax must be paid even if none of the earnings ever come into New Zealand and even if you receive no dividends. It also covers managed funds held overseas and also many foreign pension/superannuation investments. There are some exclusions for share investments in Australian-based companies. The IRD has reciprocal agreements with other countries, which enable it to track down Kiwi residents who may not have declared overseas income. It’s as Kiwi as Jelly Tips and Jandals to buy and sell on Trade Me. If you’re buying new or second-hand goods to sell, however, you need to pay tax on your profits. It can be anything from buying widgets in bulk from giant Chinese website Alibaba.com and reselling at a profit to picking up old furniture, giving it a makeover and flicking it on. These scenarios are little different from the house buying and selling. Not “capital gain” in the traditional sense. But you are required to pay tax on the profits even if they’re only small. Many sellers hope to “get away with it” but the IRD does monitor Trade Me and has details of more than 44,000 sellers. Not capital gains tax, but home owners who rent a room or their bach to holiday makers often have the misconception that it’s tax free. It’s true that you don’t pay tax on income from a limited number of “boarders” in your house. But if you rent a room in your home or your entire bach to holidaymakers, expect to pay tax. Renting short term like this is quite different to a long term relationship with a boarder in your home. The consequences of not declaring this income up front can be quite painful and expensive. Finally, many people find it tempting to evade these taxes in the hope they won’t be caught. But being caught comes with a lot of penalties. What’s more, the IRD has ever more sophisticated means of catching individuals out. Don’t be one of them. The penalties can be very painful indeed.